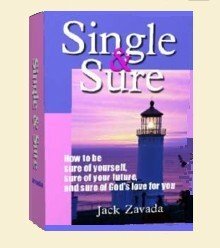 Check ifs gateway for Jacks ebooks on the single life. to start a new adventure? If not, the missing ingredient is hope. The single life has a way of turning your hope into roadkill, making each day a foot-slogging ordeal instead of an exciting celebration. Hope for Hurting Singles can change that. This is not one of those sappy self-help books that's as nourishing as cotton candy. No, this paperback guide to the single life digs deep into the aggravations that steal your joy and offers real, proven solutions. Proven? Darn right! Author Jack Zavada took his 40 years of trial-and-error and converted those lessons into an action plan for true, lasting change. Hope for Hurting Singles shows you how to fix your faulty thinking and replace it with clear-eyed truth. This stuff isn't for wimps! It's for singles who are serious about breaking free from negative patterns and reaching for a bigger, happier life. Is that you? You can find out by reading the entire first chapter, free, RIGHT HERE. 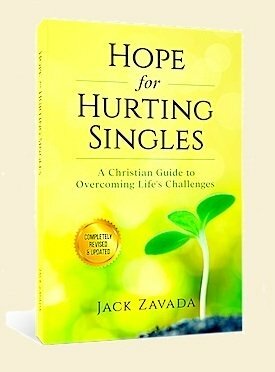 Hope for Hurting Singles is only $10.99 in paperback at amazon.com. Put on your grown-up pants and order your copy today! Only $10.99 in paperback from amazon.com! This ebook was written for intelligent singles who just need a bit of instruction on how to turn their smarts into their most powerful weapon against loneliness. Jack's four proven Principles will give you options you didn't know you had. Outsmarting Loneliness is so effective it comes with a money back guarantee! What has Jack learned in 40 years of being single that can spare you lots of pain? You'll be surprised at the practical, real-world solutions you'll find to your thorniest problems. It's a 240-page step-by-step guide on how to become a happier you! Do money worries have you tied in knots? Then you need How to Master Your Money. Jack used these common-sense principles and retired at age 51. You'll change your outlook on life and change your future. Jack also includes 10 easy ways to save enough--right away--to pay back the cost of this ebook. It's like getting this guide to financial confidence FREE! Only $4.97--including 4 FREE special reports!